The New Guard | Dismantling the Status Quo is a thoughtful panel discussion with emerging Canadian filmmakers who have risen to the top of the class in 2019. Each of these filmmakers has approached their production and film in their own unique way, writing their own rules. We’ll hear their thoughts on finding their place in the Canadian industry, discovering their partners for first or second features, discussing today’s challenges, and how each of them plans to tackle the future. These folks are the very definition of the next generation, and we’ll hear why they are disrupting the old models to get their films made. Chandler Levack is a Toronto-based journalist and filmmaker. 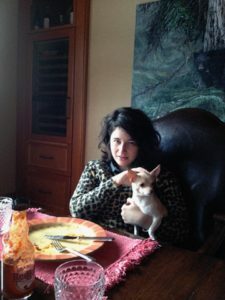 A two-time National Magazine Award nominee, she has written for publications that include Rollingstone.com, The Village Voice, and Maisonneuve, and is a current freelance film critic for The Globe and Mail. In 2017, her first short film We Forgot to Break Up premiered at TIFF and SXSW. She is currently developing her first feature. Jasmin Mozaffari is a Toronto-based filmmaker who studied film at Ryerson’s School of Image Arts. 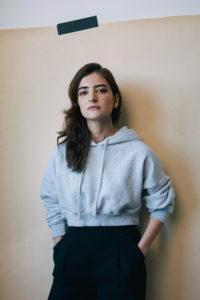 Her short films FIRECRACKERS (2013), WAVE (2015), and sleep on the tracks (2017) screened at the Toronto International Film Festival, the Vancouver International Film Festival, and internationally. Jasmin’s feature debut, FIRECRACKERS, premiered at the 2018 Toronto International Film Festival to great acclaim, with the Globe and Mail proclaiming Jasmin as a “vital new voice for Canadian cinema.” The film won Best Film in Competition at the Stockholm International Film Festival, and was named as a part of TIFF’s Canada’s Top Ten films of 2018. 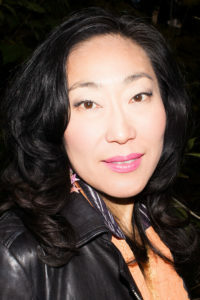 Born in Seoul, Korea, writer/director Gloria Ui Young Kim comes from a long line of media makers. She’s an alumni of the Canadian Film Centre’s Director’s Lab, TIFF Talent Lab. She wrote, directed, produced her first feature, QUEEN OF THE MORNING CALM, (Women in the Director’s Chair Feature Film Award, Greenberg Fund, Telefilm), which is now in post. Her last short FLAMENCO, (CBC, 2015) won the 2017 Corus Fearless Female Filmmaker Award. She has won numerous Golds for her commercial work and has had over a million views online. She recently directed several episodes of Sinking Ship’s Dino Dana (TVO, Amazon); Riverbanks’ When I Grow Up (TVO) and BGM’s It’s My Party (TVO). She was chosen by Women in View as one of the 2017 Five in Focus, and is on the Board of Directors for Women in Film and Television-Toronto. 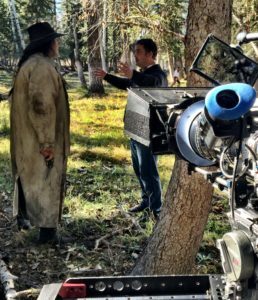 Michael Peterson is an award-winning filmmaker and a partner at 775 Media Corp. He has directed TV, commercials, short film, documentary and feature films. He did his undergrad at York University, a Masters at UNC-Chapel Hill in Communications Studies, and graduated from the CFC Directors Lab in 2013. His first two features as writer, director, producer are LLOYD THE CONQUEROR, a nerd comedy, and the thriller horror, KNUCKLEBALL, starring Michael Ironside. When not directing, he also develops and produces projects, most recently, HARPOON, the dark comedy feature film directed by Rob Grant, and premiered at IFFRotterdam. He loves making movies, collaborating on projects, is at polishing stage on his next two features, and lives in Calgary with his wife and kids.